Cultural awareness is making proper responses to behaviors and norms exhibited by people from outside of one’s own culture. It is foundation of communication and it involves the ability of standing back from ourselves and becoming aware of our cultural values, beliefs, and perceptions. Why do we do things they way we do? How do we see the world? Why do we interact this particular way? 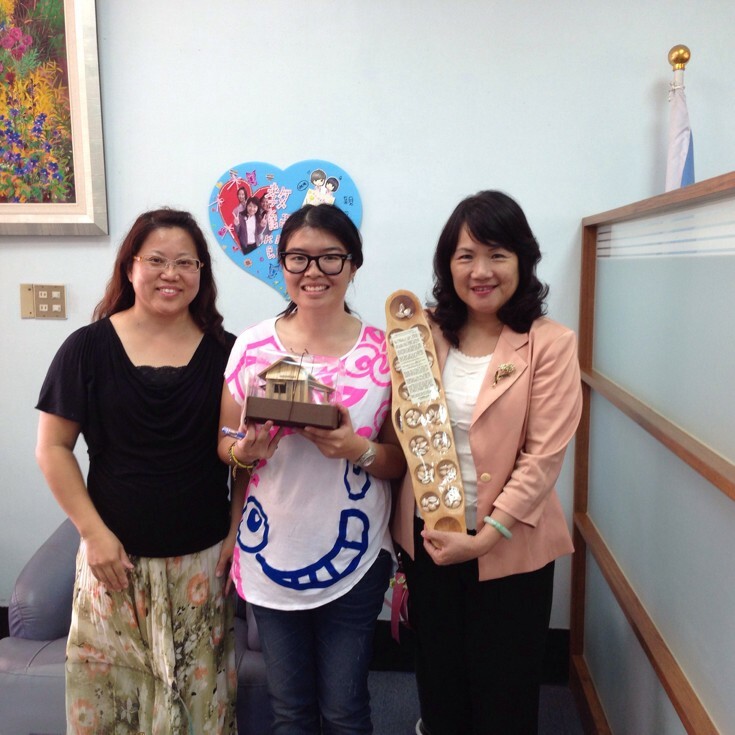 Cultural awareness becomes essential when we have to interact with people from other cultures. People see, interpret and evaluate things in different ways. What is considered a right way of doing things in a culture is not usual in another one, and vice versa. If we don’t have cultural sensitivity awareness we misinterpret and misunderstand other people’s different deed. A misinterpretation comes when we lack awareness of our own behavioral rules and project them on others. Becoming aware of our cultural dynamics is difficult task because culture is not conscious to us. Our experiences, our values and our culture background lead us to see and do things in certain way. We have to step up from our cultural boundaries and put ourselves in multicultural environment in order to see different cultures perspective and different ways of perceiving things. With the globalization of business, increased diversity in the workplace and multicultural emphasis, cultural awareness has become one of the most important wanted skills in almost every industry understanding the cultures around you will enhance communication, productivity and unity in work place, AIESEC opportunities abroad are best ways to expose yourself to multicultural environment and increase your cultural awareness. Our internship opportunities help you to develop the following 4 core parts of cultural awareness development. When you go abroad you through the AIESEC opportunities you will not only get to know about the culture of the country you settled, but you will also live with different people’s culture who come to volunteer or work like you from many parts of the world. Increased knowledge and better understanding of cultures is a basic thing towards development of your cultural awareness. One of the challenges you will face when you go abroad to work is the communication problem. You will need to understand a local culture and perhaps learn some words to possibly communicate better with each other. Outstanding communication skills developed through multicultural work environments are valuable inputs to increase your cultural awareness. There are differences in values, beliefs, interests, ethnicity, age, religion, gender, among people. The fact that accepting there are differences and valuing them is another thing you get when you are in a multicultural environment that will shape you to become someone with an advanced level of cultural awareness. Even after developing all the other above core parts of Cultural Awareness it is hard to understand everything in our dynamic and vast multicultural working environment. At such times it is good to ask ourselves “Why I am feeling this way towards this situation?”, “Why I do I think this way?” And adjust responses and actions accordingly to these questions. To answer these questions, a good awareness of our own values, beliefs, and preferences is needed. Weakness and strengths can also be developed through volunteering or working abroad opportunities, provided by AIESEC. 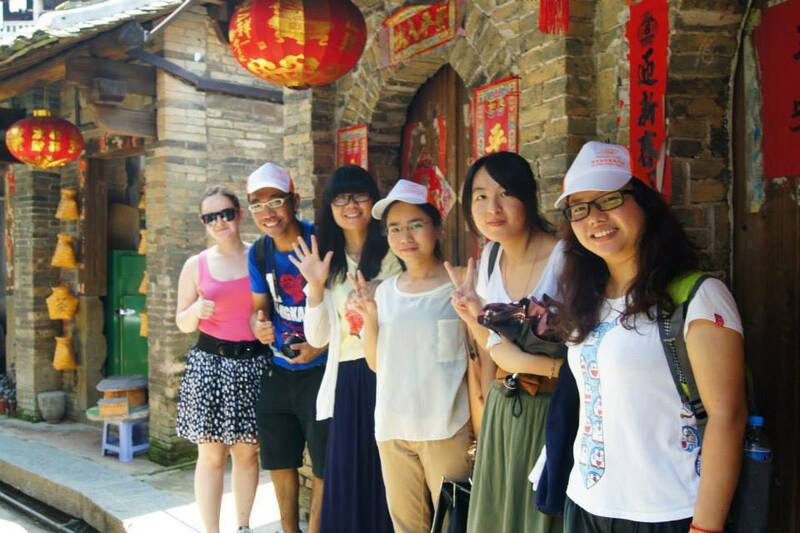 Do you want to increase your cultural awareness through a 6-78 weeks internship abroad? Click here to grab this chance. Are you looking for a way to add some experience to your CV? Besides just adding do you want develop yourself professionally and acquire work skills in very diverse and challenging environment? Volunteering abroad in community development projects through AIESEC in a country you choose will give you the ample opportunity to build up your professional skills. 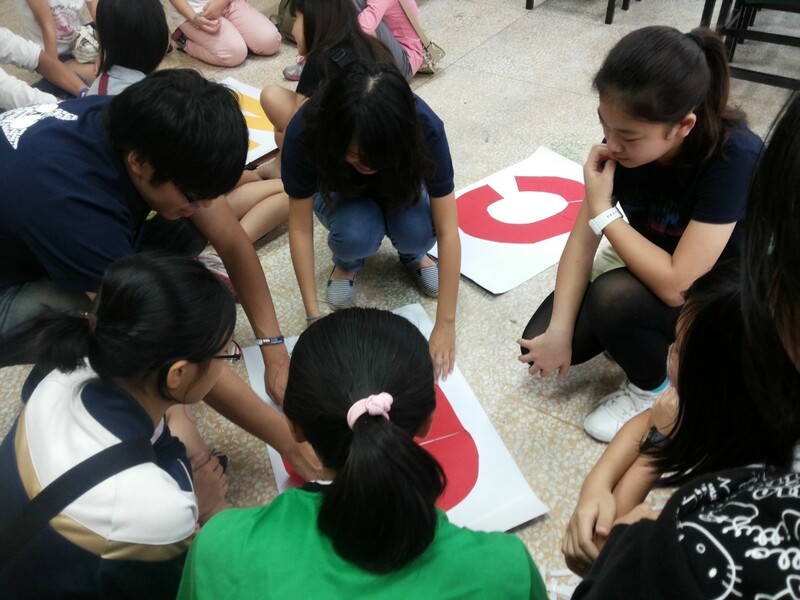 Here are six ways AIESEC Global Volunteer opportunities gives you a work experience. Volunteering abroad will give you friends for life which you can always ask them for help and support. You will meet different people in your journey and at the NGO or school you are working. This is a way to build up your professional network. If you perform well in your tasks when you work as a volunteer your supervisor, at a place you worked might even serve as reference to you when you apply for a job. One of the best things you can get going abroad and volunteering is exposing yourself to new working environment which most of the time is far different from the surrounding you are used to. Facing the challenges that comes from this situation, and finding a solution, or adapting yourself to the new environment will give you another worth experience. This will be definitely an asset to your carrier development and gives you an upper hand when you apply for any job opportunity. Mind the fact that you will have a better CV than any of your peer fresh recent graduates who do not have any volunteer experience. Our volunteer opportunities give you access to new a culture considering that you will go to a different country with different ways of doing the same things you do, and distinct things as well. You will learn new language which is always an addition to your skills, and makes you more competitive in the job market. First in AIESEC youth leadership is the core of our organization. We have a leadership development model consisting of three parts which helps us to develop leaders. The number one is the Leadership Qualities we want to see our customers get after going on an exchange with us. The second one is The Inner & Outer Journey. This is a personal journey that our customers go through in an AIESEC exchange in order to develop the 4 Leadership Qualities. The third part of this Leadership Model is called Standards & Satisfaction. It describes the daily activities a team of AIESECers need to execute in order to facilitate a complete experience for our Volunteering exchange participant. At the end of your volunteering experience you will be a person who is self aware, someone who can empower others, is solution oriented and, a world citizen. Having these qualities when you apply for any job will shows the managers that you are fit to their company or organization. You will develop skills such as the ability to work in a team, problem solving and adaptability, communicating with clients and stakeholders, ability to plan and prioritize work, sales skills, time management, report writing, and improve interpersonal skills are some of the benefits you get from Volunteering abroad. A recent LinkedIn survey found that 41% of hiring managers consider volunteer experience equally valuable as paid work. LinkedIn also found that 89% of professionals surveyed had volunteer experience. After LinkedIn collected this data, they decided to include a place to put a volunteer experience for their users, because commitment and dedication of doing a volunteer work will definitely give you skills you need for paid work as well. Just place yourself in the shoes of an employer and picture this situation for a minute. Two job candidates with the same backgrounds. However, one of the candidates has a significant volunteer experience – an experience that allowed the student to harvest relevant skills to the job they are applying. On the other hand, the other candidate has just graduated with no volunteer experience, which one would you choose? So are you ready to take this chance and volunteer abroad? 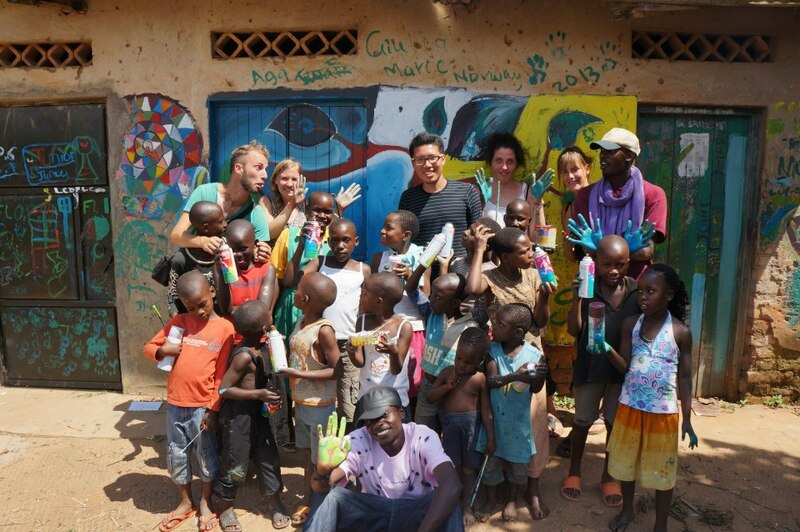 Here you can find Volunteering opportunities abroad. Your life-changing experience is just one click away. 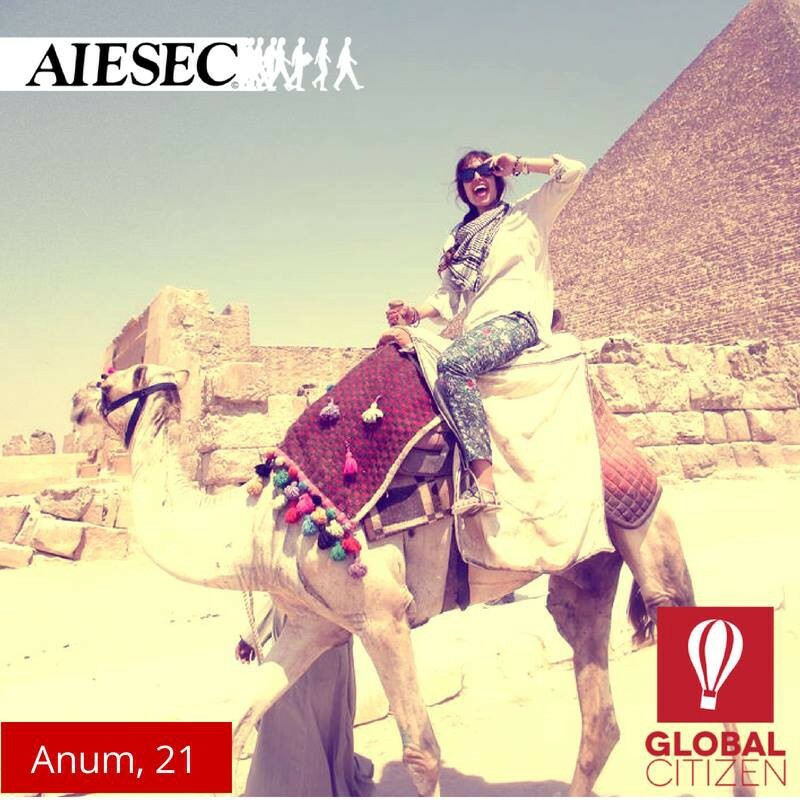 AIESEC emerged from a period in time when cultural understanding was at an all-time low. In the years following the Second World War, the whole of the European continent was ravaged to the ground. Each nation was coping with its own grave losses, and between all countries there was tremendous disconnect. Not only was there pressure to educate and create individuals capable of rebuilding their countries, there was also the very real need to repair damaged European relations. Looking at the world today, one can’t help but notice striking similarities. Devastation, turmoil, anger, despair—none of these are strangers to us, even though it has been seventy years since the end of what is dubbed the deadliest conflict in human history. Furthermore, what the world suffers from today is not the disconnection within a continent, but rather, the tensions within an entire planet. We suffer today from disconnect between continents, between nations, within countries, within communities. We are suffering from differences in ideology, in religion, and in culture. And it is becoming abundantly clear that such differences can have fatal consequences. In the first week of January, the world was deeply shaken by the Charlie Hebdo shooting that occurred in Paris—an event that has resulted in global repercussions for numerous other nations. It has also drawn attention to a number of ongoing conflicts throughout Europe and the rest of the world. In the days that followed, the world saw two categories of reactions: outbreaks of conflict and marches of solidarity. In the week that followed the shootings, fifty-four anti-Muslim attacks were reported in France. Conflicts escalated in reaction to Charlie Hebdo’s resumed publication with the controversial cover—in Niger, violent protests resulted in the deaths of ten people, with dozens injured, and a number of churches burned. Similar protests also occurred in Pakistan and Algeria. Meanwhile, over 100,000 people in France took to the streets for candlelit vigils in demonstrations of solidarity. The slogan, “Je suis Charlie” (I am Charlie in French), became simultaneously an endorsement from freedom of speech and a way to honour the victims of the shooting. Similar vigils took place all over the globe in the UK, the US, Canada, Australia, the Netherlands, to name a few. In what officials called the largest public rally in France since World War II, up to two million people marched in a ‘unity rally’, joined by more than 40 world leaders. Two weeks ago, a youth was stabbed to death in Dresden, Germany—a city that has been the hotbed for anti-immigrant and ‘anti-Islamisation’ movements by the organization PEGIDA (Patriotic Europeans Against the Islamisation of the West, in German). This, in turn, has resulted in numerous counter-demonstrations across the country against racism, calling for cultural acceptance and tolerance. Looking at these stories, a ripple effect becomes clear—the current issues now are either recurring or ongoing reactions to other issues. The stories become convoluted into an overarching narrative of conflict. We must understand, however, that intolerance is equivalent to blindness. With cultural tensions on the rise, how are we to reconcile our differences? What would the world be like if instead of differences, we choose to see similarities? Like the unity rally, which brought masses of people and a multitude of nations together—for the first time since the Second World War!—what would the world be like if we reveled in diversity, instead of seeking to destroy it? It’s a big world out there, made up of many, many individuals—7 billion of them, to be exact. Here in AIESEC, one of our six core values is Living Diversity. We believe that everyone, because of their own culture and place in life, has something valuable to offer, and we seek to encourage the contribution of each individual. Each and every one of us has a choice every day—will you choose peace? We live in a world where seemingly small things like intolerance and misunderstanding of people’s differences have caused large-scale conflict, destruction and even wars. World peace can seem like an impossible thing, but we at AIESEC interpret it a little differently. ‘Peace’ should not be interpreted necessarily as absence of a major war. ‘Peace’ symbolizes a world that does not have conflicts that arise from cultural, religious, or other aspects of differences in humanity. In short, we need to learn how to respect and understand these differences as human beings. We’ve pulled together a series of TED talks for you listen and watch to inspire new ways of thinking on the roadmap to peace. Progress will come, when all of humanity is awakened, moved to take action and not idly sit by to wait for change. We must be brave, but also patient in seeking cross-cultural understanding amongst people and nations. What actions will you take to make yourself a better person and be the leader who can help make the world a better place? One of the best ways to gain a new understanding of the world is to live, volunteer or work abroad. Another way is also joining us and becoming a member in the nearest Local Committee, an opportunity that offers you global experiences to create positive change in communities and on yourself. We call them lazy and demanding. We judge them and find them narcissistic. However looking at raw data they are not so bad after all. Here are 5 things that millennials care about the most nowadays, according to the YouthSpeak survey powered by AIESEC. New gadgets, iPhones and tablets are not the only thing millennials care about. They are also eager to learn and experience more. Fifty percent of surveyed youth listed gaining new skills and abilities as their top priority. This indicates their awareness of the importance of soft and hard skills. They know that studying from books is not the only way of learning and more than 70% of the surveyed youth prefer to learn by doing and trying. More than 50% of surveyed so far have chosen Team Management and Leadership as the skills they need to develop. Nearly half of the surveyed young people are willing to finish their studies. There was some concern because last year’s education has been failing to help students in developing useful skills and preparing graduates for entering the job market, but on the other hand, millennials still have belief in education and are not giving up quickly. Still more than half of surveyed youth perceives a university degree as a way to reaching their full potential. Volunteering abroad, internships, scholarships, work and travel. These are only a few ways to experience and taste the world. Globalization means the world is shrinking and international experience is becoming a must-have in a resume of each millennial. Above 45% of surveyed youth listed travelling the world as their top priority right now. Millennial youth believe that the world can be changed and they know they can be the ones changing it. What has always been fascinating about this generation is that they are beyond ambitious and that they believe more in their capabilities than other generations. Around 55% of surveyed youth believe that to change something, young people need to have a broader understanding of the issues that the world is facing. Here’s to the entrepreneurial outlook. More than 20% of surveyed youth so far lists starting or growing own business as their top priority in life right now. Trends show that over the next 5 and 10 years more than 60% of youth want to become entrepreneurs. The increased demand for entrepreneurship may push employers to make their workplaces less structured, hierarchical and rigid to enable entrepreneurial talent to thrive. Fill in the YouthSpeak survey by November 30th to help us create data that speaks for young people with aims to align and find solutions to improve both education and employment. Over 17,000 youth voices have been heard, it’s your turn. More or less seventeen years ago, in Mingora, the largest city in the Pakistani district of Swat, a baby girl was born. The date was precisely July 12th and she was welcomed by her family with great love and joy. It is interesting to imagine, so many years afterwards, that the whole world would hold the same sentiments towards this girl, perhaps also with an additional touch of hope and pride. Malala Yousafzai has earned the admiration of many people around the globe as a result of her actions and the way she has conducted her life towards one objective, and one objective only, since she was born: “my mission is to help people”, she said once during an interview with BBC. This goal–her life goal–has remained steadfast and the 2014 Nobel Peace Prize she received on October 10th proves this better than anything else. Malala may be a schoolgirl, but she was never little. Or at least, not in the childish sense of the word. Growing up in a family where education has always been praised, Malala values the importance of learning, and this has not changed even with the political instability in her country. In particular, the Taliban is known for its violent activity in the Middle East and also for their extreme interpretation of Islam, which they use to validate their own operations. As a matter of fact, a number of the group’s arbitrarily cruel actions are related to the oppression of women. When Malala first heard that she was not allowed to attend school because she was a girl, she could have just looked down and obeyed, as so many other girls did. At first glance, her calm face and peaceful eyes may demonstrate that she is more likely to remain quiet than express her own ideas out loud. However, for Malala (and, to be honest, to me and a good deal of other people I know as well), the idea of keeping women in the shadows simply did not make sense. How could girls not be allowed to go to school? Unfortunately for the Taliban, school was exactly where Malala wanted to be, and she decided to spread her will to the world. At the age of eleven, Malala wrote a blog for the BBC about her day-to-day life under the Taliban occupation and her subsequent desire for things to change. As she spoke for herself, Malala was also speaking up for a generation of young girls and women who are prevented every day from entering into an education institution due to the simple fact that they are female. “All I want is education”, she cried, and thousands around the world stepped forward to support this statement. Sadly, in October 9th of 2012, Malala’s voice was almost shut down. After hearing someone call her name, she became the victim of a murder attempt. One of three bullets hit Malala and for some time the world wondered, concerned, if this little girl of big actions would become just another addition to the sad statistics. Meanwhile, while Malala was fighting for her life, different people and organizations everywhere used the tragedy as a turning point to further the fight for women’s rights and increase opportunities for equal education. One of the most significant instances of this was the UN petition signed by Gordon Brown, United Nations Special Envoy for Global Education, which urged that every child in the world should be in school by the end of 2015. The petition used the slogan “I am Malala”, which reached all corners of the globe, and had a huge influence in the ratification of the first Right to Education Bill in Pakistan. Perhaps all of these positive reactions had something to do with Malala’s recovery. In 2013, she celebrated her birthday, perfectly well, by giving a speech at the UN Headquarters. Her words requested universal access to education and demonstrated that bullets will never be able to stop the struggle for a better world. “I am very thankful that people in Pakistan and people around the world on the next day [of the shooting] raised up their voices; they spoke for their rights. Malala was only hurt in Pakistan, but now she was hurt in every corner of the world”, she said in an interview for BBC, only one year after the attempt on her life. Some time later, the Nobel Prize committee announced that the recipient of the Peace Award of this year had a familiar name. Together with Kailash Satyarthi, an Indian activist who works for children’s rights, Malala is sharing the $1.1 million prize and the honour and prestige of the world’s most famous distinction. The nomination states that both deserve the recognition “for their struggle against the suppression of children and young people and for the right of all children to education”. These fancy words do justice to the beautiful actions of this seventeen year old, who is the youngest Nobel prize winner in history. In the battle for equal education opportunity, Malala is clearly unafraid of being in the vanguard. Today, AIESEC congratulates Malala and wonders about the future: what else she will do, and for the first time? Personally, I can’t wait to see what comes next. The first thing you get to know when you hear about AIESEC is that it was established in 1948 with the aim of creating a new leaders’ generation: the generation which would avoid the Second World War’s horrors. But in the 1989, the risk of a third world war loomed like never before, and the epicentre, was once again, in Berlin. Luckily things went differently: the wall fell down and the iron curtain itself was down for good. After one of the most dreadful times in our history there has come a new chapter in the life of many people, and AIESEC was there. Stefano Boccaletti, Leonardo Cullurà and Claudia Siracusa, three generations of leaders were in Berlin of the night of November 19, 989. A month ago I had the pleasure to meet them and to hear their stories. For Stefano that would have been one of his last international meetings since he was close to the end of his term and he wouldn’t have missed it for the world. Leonardo told us that they have managed to steal a street sign to use it as a hammer. Suddenly they saw Claudia jumping on the wall and singing it with a few Danish. The emotion and the trembling voice while telling us the story is beyond imagination. The year after that, Claudia has become the AIESEC Brescia’s Local Chapter President, while Leonardo was voted the President of AIESEC in Italy. In their motivational speeches they both reminded that it is us, young people, who can change the future. Here are the stories from my exchange experience that surprised me in the end. 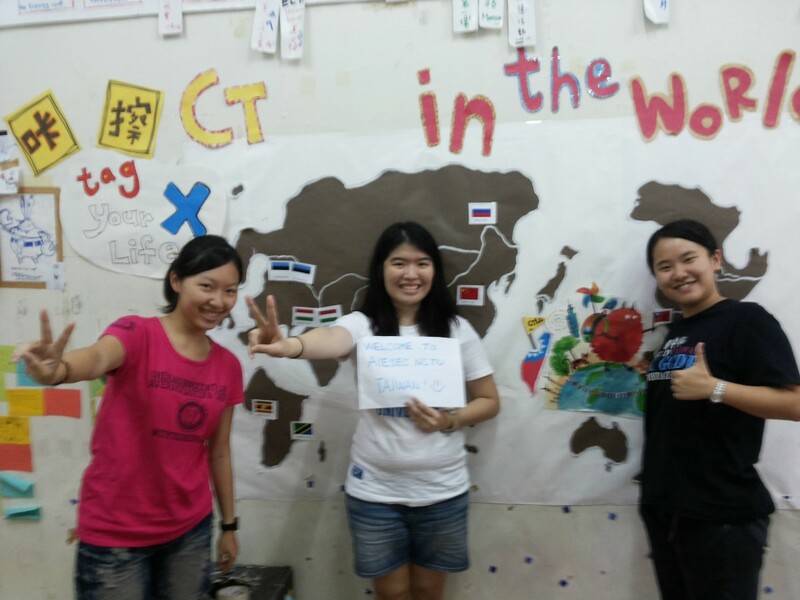 This is my experience with AIESEC NCTU in Hsinchu City, Taiwan as part of the the project Connect the World from September to December 2013. 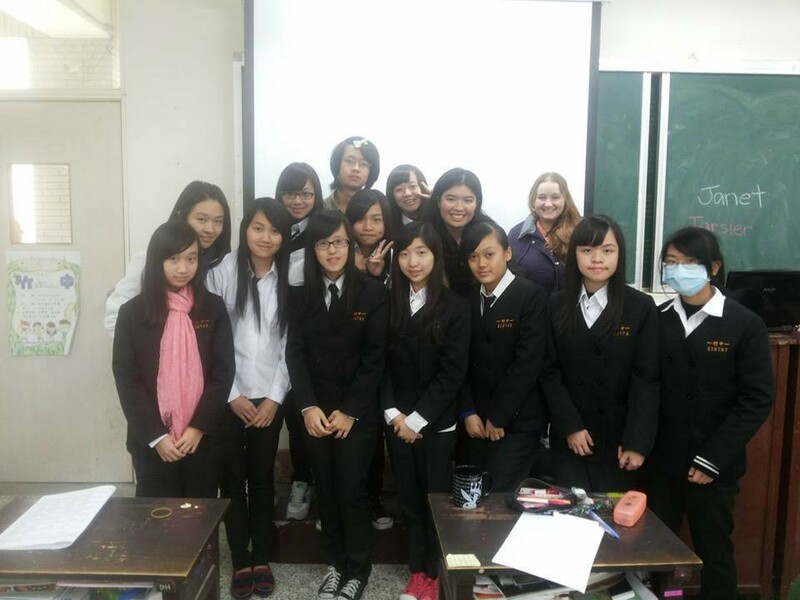 This cultural exchange program was designed for us exchange participants to make an impact on high school students by sharing things about and from our countries. Surprisingly, this exchange program taught me a lot about life. I was approached by one of the teachers in one of the high schools I was teaching at. The teacher knew I intended to go to law school because of how I had introduced myself in her class. She wanted to ask me for more details on law school because she was very worried about her daughter, who was on the verge of giving up law school. I told her that I wanted to specialize in criminal law and in the field of human rights because I wanted to be a court lawyer and be of service to people. She asked me how I already knew which specific field in law I wanted to pursue this early on. I simply told her that I always remind myself of why I wanted to be in this field to begin with. I remind myself that I am doing this not only for the sake of my career but also for the sake of the people who are in need of help and that I think being a court lawyer best fits this interest. The exchange program is more than the learning you get from the four corners of the classroom, it is the learning from an experience in life. She asked me this question so that she could help her daughter who was about to graduate but was attempting to give up. Surprisingly, she really wanted advice from me. I told her to tell her daughter to remind herself why she chose law and to remind herself of the positive things that happened in law school despite the difficulty she was currently having. The teacher said that her daughter was worried about the bar exam. In response, I told her that everyone was scared of the bar exam and even I was afraid of it. I told her that working hard for a dream would achieve good results. What was the surprise here? After saying those things to the teacher, I saw myself as the daughter who was worried about law school. Then I reflected on those words I said to the teacher. It made me realize that I can manage as long as I believe in myself. Friends and even former professors have been telling me that I can manage, that I have good academic standing and a keen interest in the classes in my undergraduate course in psychology. I get positive feedback from my classes. What is there to be afraid of? I am afraid of failing, but who isn’t? I am afraid of falling, but who isn’t? Everyone is. It is a matter of facing your fears. Everyone thinks, I lack the courage to face them; I do not believe in myself; I do not trust myself. If I believed in myself, I would have the capacity to say I can do it. Then I realized, am I not like her daughter too? Afraid? I gave advice that the teacher appreciated and believed that it would be of help to her daughter. I realized, I can do it. I can pursue my dreams despite the struggles; believe despite the hardships. I got letters and messages from my students, teachers and friends telling me I am a funny and jolly person. They said I have this motivation and energy that influences other people. It has always been a surprise for me to see in the letters or even hear this feedback because I do not see myself like that. I believe that I gained more confidence and courage from this project than anyone could ever imagine. I remember the poster/ad of AIESEC DLSU saying, “Get lost and find yourself”. I am indeed discovering a lot about myself from feedback from other people. I realized now that we need other people who are courageous enough to tell us about ourselves. Feedback from other people no matter how minor can help us realize what is really happening in our lives. This is why I have to say that I am very glad that I met the people I did, experienced the things I experienced. If not for those, I would not have found myself. I would not have discovered something more about myself. I would not have been the way I am right now. I may have had a tough rocky road along the way but everyone does, right? I believe that things happen for a reason. Now, I believe that these things had to happen to open my eyes and see the reality. I am grateful for the good and bad. If not for the bad, how could I have appreciated the good so much? Right now, I just do not know the right words to express how much AIESEC, my fellow trainees, teachers, students and friends have helped shape my life for the better. It is quite sad for me to leave because this is the place where I learned a lot, not about academics, but about life itself. It is a place where I found good friends. 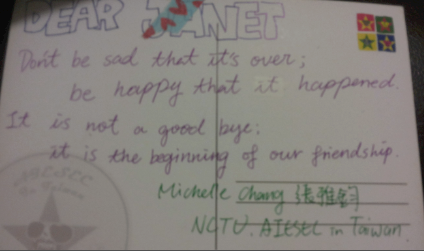 However, I have to say goodbye, face the things that I have to face back home and continue on with my life. People come and go in our lives but it does not mean that they will be gone from our lives. The people I met will always be treasured dearly. Everyone may be far away from one another but distance is not a barrier to maintain the friendships that we have created. The world has still a lot to offer. The world still has a lot of surprises. There is still a lot more to learn from. Just smile at the world, and it will surely smile back at you. But this experience is one of the best I have ever had. 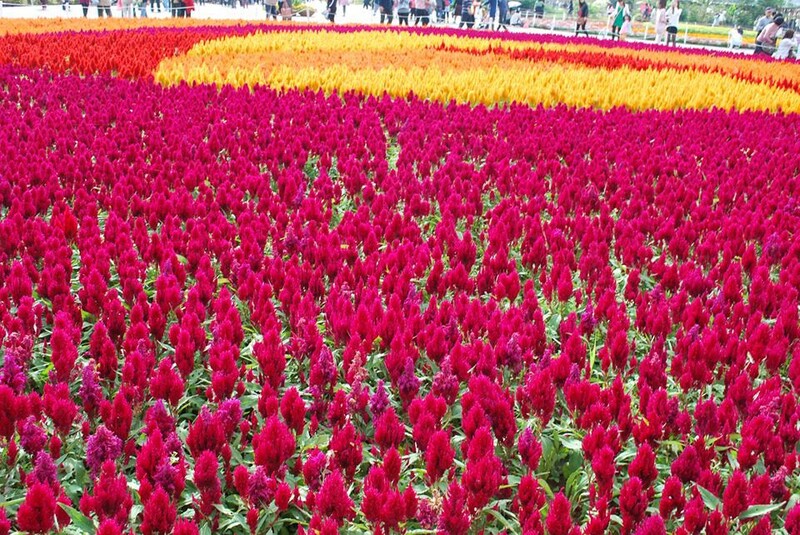 This is my second home—Taiwan. 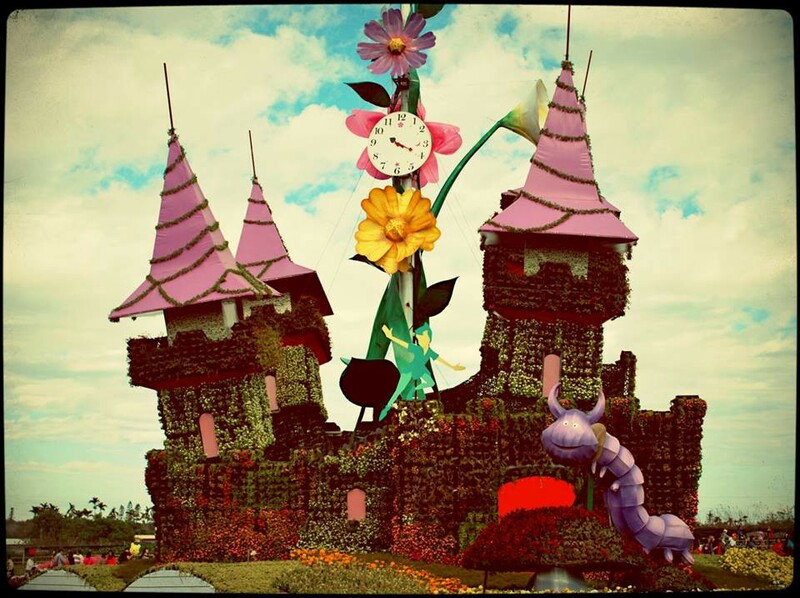 This has been my Wonderland. I am happy that I was here. I am happy that I was able to convince students who did not participate to participate. I was able to convince students who did not smile, to smile. I was able to see how keen and eager the students were whenever I was presenting. I am happy that I was able to see how the students’ eyes brightened. I am happy that I was able to see and hear the students laugh, joke and even be loud for a good cause. These were the actual experiences I had with my last class: the most difficult but the best class I ever had. My last class was supposed to be the most unresponsive and I was told that the class does not really answer questions. However, it was different when I was there. They were welcoming and happy. My last class is where I can say I was really able to Connect the World and fulfill the goals of the project. This was the class where I can say that I really was able to make a difference. These are irreplaceable moments in my life that can make me say and realize that, “Hey! I did make a change”. It may have just lasted for a day, an hour, a minute or even just a second, but the little things showed me that one person could really make a big difference. This is the teaching experience. This is the AIESEC experience. “The exchange program is more than the learning you get from the four corners of the classroom, it is a life experience. It is about finding who you are and learning more about yourself throughout the journey. I began to open up locked chests that I didn’t know existed within me. Moreover, I’ve realized how life is so wonderful and it never fails to give you those little things that make you smile. It’s also about never giving up and never losing hope. It was also in this exchange program that I found what I am passionate and dedicated about — and AIESEC is one of those things. AIESEC taught me how to stand up for myself and be a leader — a leader who will be able to make a wonderful and positive impact in my country and also in the world. “This story was written in contribution to the AIESEC Everyday Leader Series, that showcases stories of everyday leaders who are changing the world. Share your story with the world. Martha Graham once said “Dance is the hidden language of the soul”. Agnes de Mille’s words were “The truest expression of a people is in its dances and its music…” And Hans Bos said “When I dance, I cannot judge, I cannot hate, I cannot separate myself from life. I can only be joyful and whole, that is why I dance.” During a dance, joy and happiness bring up the best in people and differences are for a moment forgotten or embraced and cherished. If you are not a part of AIESEC, but have met someone who is, you’ve probably wondered – So why do AIESECers dance? Why do they jump up at the sound of certain songs and start dancing enthusiastically, while you are in a complete shock as to what just happened? At the beginning of every local, national and international conference we have the tradition of presenting each entity present and their culture by dancing roll calls. As decades go by, the tradition continues and AIESEC entities present their culture through different dances. Imagine young people from over 124 countries and territories in one room, showcasing their culture and doing roll call by dancing, laughing and cheering for each other. The barriers and borders disappear, bringing the world together at one place. Diversity, richness of cultures, the splash of colors and positive energy make the room come alive and connect people of fundamentally different backgrounds. The beauty is not just in the moment, but in the fact that when the music stops and you hear the song again someplace else, you are reminded of the entity which danced it, of their colors, faces, smiles and culture. AIESEC is unique precisely because it creates a global family of young people, who take time to get to know each other and learn each other’s dances, thus expressing respect and open-mindedness towards different cultures. When was the last time you saw the world at one place? We did today and that’s why we are passionate about cultural understanding and intercultural dialogue. If you believe cultural understanding is crucial in today’s globalized world, share in a comment your idea of how we can facilitate it! In a world where polarized views engulf so many hearts and the bad guys seem to get their way, what is the beacon of hope? As innocent people suffer all around the globe, you feel overwhelmed with a sense of frustrating and livid defeat. You’re distraught and you wonder how these current ‘leaders’ can let the world burn like this. People are yelling at each other and so quick to blame. Hate propaganda is on the rise, fueling the anger of people around the earth. In such large-scale conflicts with roots so deep, you wonder how you, as one single individual, can fit anywhere in this warring world and bring some peace. I’m going to tell you about how you can take out hate. How you can disarm evil, and overrun armies of intolerance. I’m going to tell you about the time we took out hate, disarmed evil, and brought about world peace…and how you can too. Engaging in combat against hate is arguably one of the toughest battles of mankind. It’s about changing people’s hearts. Don’t underestimate the role of the masses, the role of everyday leaders, the role of yourself. Your army is the power of your voice, armed with your experience. You must take out hate with peace. Thanks to AIESEC, tens of thousands of people had a life changing experience in a new land and then came home and without realizing, became an honest spokesperson for that foreign land to their own people. An AIESEC exchange transforms you into not just an ambassador, but also a strategic asset. An asset equipped with knowledge and a voice. Using your experience, you attack with empathy, love, and ideas. That’s how you disarm evil. You lead the mission to cure hate with tolerance. That’s a leader. I always struggled to understand what exactly was going on in the Middle East. It was a mystical land of rich history, but all I read and all I saw was fighting, conflict and violence. Last year in the summer of 2013, while interning in Egypt, I found myself caught right in the midst of the turmoil. However, rather than confirming any of the stereotypes aforementioned, something quite extraordinary happened to me. The AIESECers in Egypt were dedicated to not just protecting me, but showing me another aspect of the situation. The Egyptians I encountered were eager to demonstrate that they did not represent the stories that were portrayed around the world about the violent nature of the Egyptian people. They longed for me to understand that they were civilians, not supporting any violence or destruction that came out of the political uprisings. They just wanted peace. I, along with many other interns, took a risk by going to Egypt so we could interact with the people for ourselves. We dared to allow our minds to be free from what we thought we knew. Egyptian AIESECers and interns. 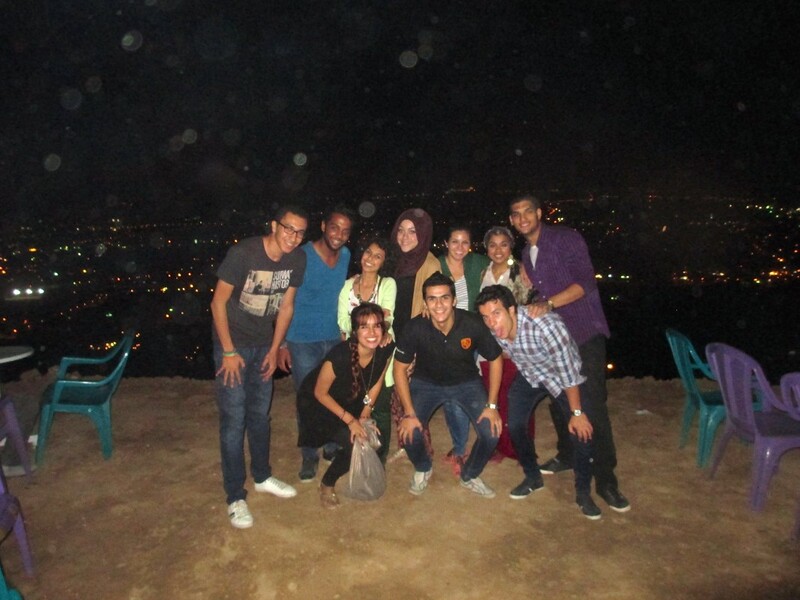 Photo taken at Mokattam, a mountain overlooking the city of Cairo. We all eventually left Egypt, but our role in this battle wasn’t over. The Egyptians provided me with an unparalleled and eye opening experience during a challenging time in their country, and it was my duty to report what I saw. Interns of all different countries who found themselves in this unexpected situation in Cairo returned home and word spread like fire about what we had seen. I reached out to all the media outlets I could, trying to find anyone who would listen. My own university heard my call and invited me to speak at a panel. 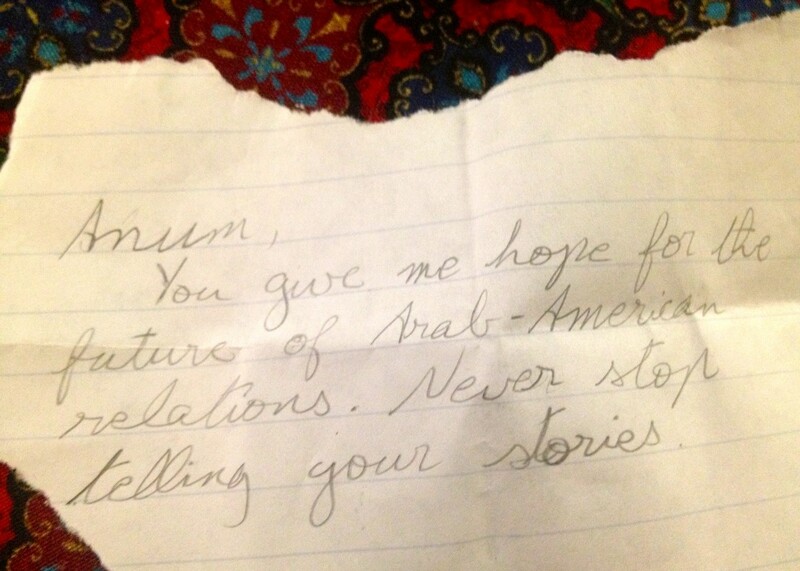 I was a storyteller, using my words to combat notions about the Egyptian people on every occasion I could. It wasn’t about if I supported or didn’t support the counterrevolution. I wasn’t a spokesperson for the political wing of Egypt. I was the spokesperson for the average peaceful Egyptian and their culture. That’s who I supported. However, as an AIESECer, it was not sufficient to just speak for Egypt in America. It was my responsibility to show the Middle East that I was an American, and that I too didn’t fit their stereotype. I went back to the Middle East and joined AIESEC Jordan. 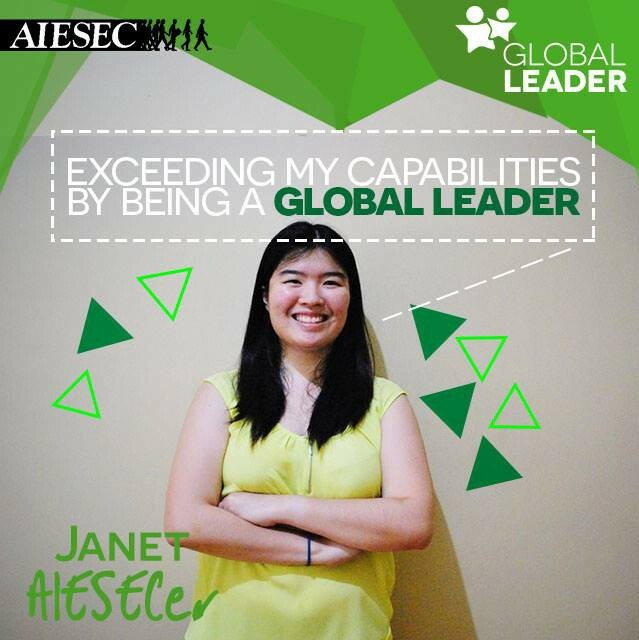 AIESEC constantly reminded me that I was a leader, and made me realize that I was fully capable to take on a project of my own. I partnered with a Syrian organization in Jordan and together, weaving in both values in from the east and west, we synergized and created a program for refugee children. As AIESECers, we were left speechless abroad, and then we became storytellers. We were basking in the comfort of our own lands, and then we became global citizens. We were left thinking we had no way to affect the world’s state of despair, and then we became everyday leaders. So, how did I bring about world peace? Well, it was one of the best moments of my life, and it occurred in the subtlest of ways. It was a sugar cube I received at an AIESEC conference a few months after I returned from Egypt. It was a small note, but the words were so powerful, proving to me that what I was doing, what we all were doing, was working. I was just a girl telling a story. But next thing I knew, I had taken out hate and brought around world peace. You have the power to take out hate. If each of us adds up our little attempts towards peace such as this, together we might just attain world peace. Go out, explore and allow your way of thinking to be challenged. It’s time to take a risk, sweetheart. How will you make a difference by starting with listening? 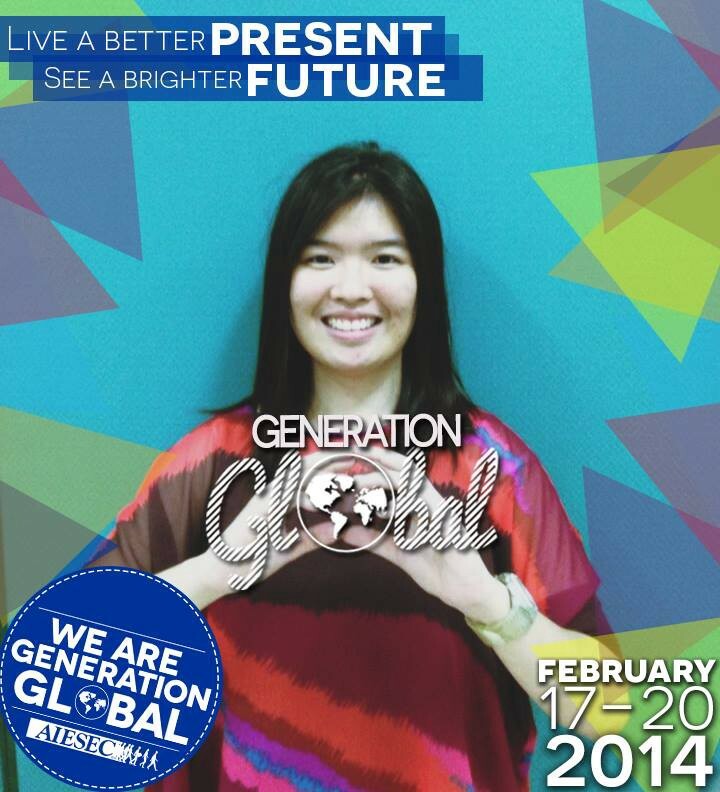 Get involved with AIESEC today and embark on a global internship experience.